NFC Enabled Smart Skin Wearable | Cellotape Smart Products | A Resource Label Group Co.
Debuting our new and revolutionary product at our past two trade shows, the NFC-enabled Smart Skin Wearable takes ticketing, prize campaigns and VIP events to another level. Using medical grade adhesive, we embed Near Field Communication technology between the layers to provide a durable and waterproof construction. Made to last 1-3 days, the Smart Skin Wearable is constructed to withstand daily wear and tear but still provides a flair of excitement and sophistication to any campaign. 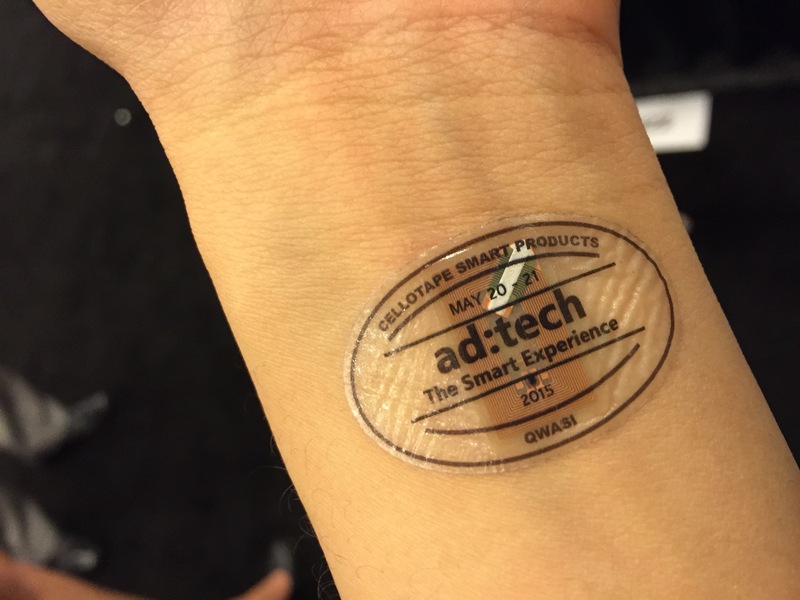 Cellotape Smart Products has used the Smart Skin Wearable to boost trade show traffic by presenting a fully engaging prize campaign. Using one of our ID Platform Management partners, we provide a full scale example of using Smart Wearables to provide and track meaningful interactions with customers and attendees. With instant wins of Starbucks Giftcards and Nexus 7 Tablets, every campaign has definitely been a win for us!